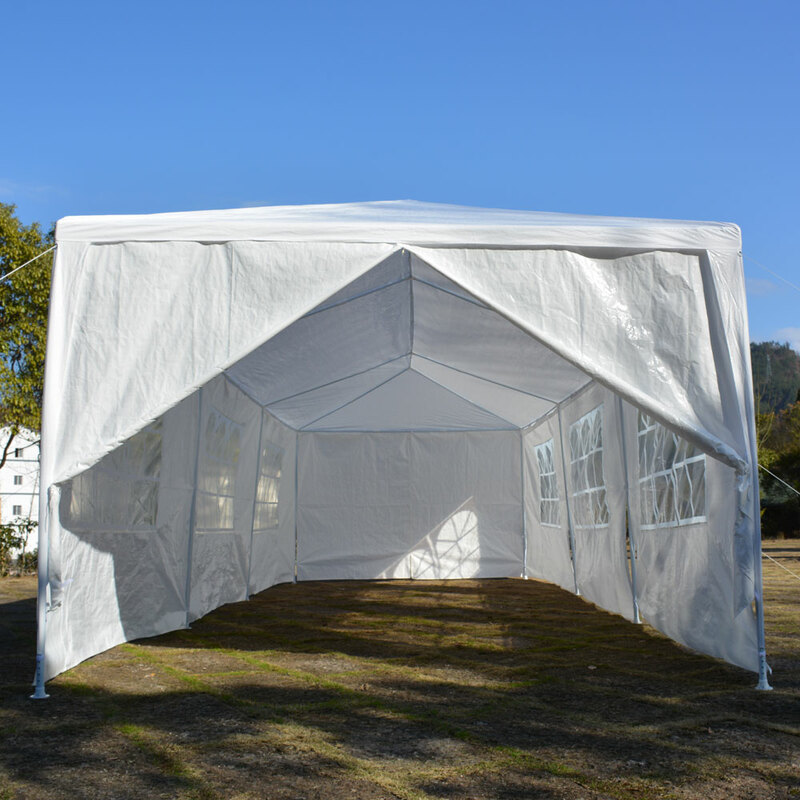 This Tent is particularly designed for party only. It is not met to be up in the wind. 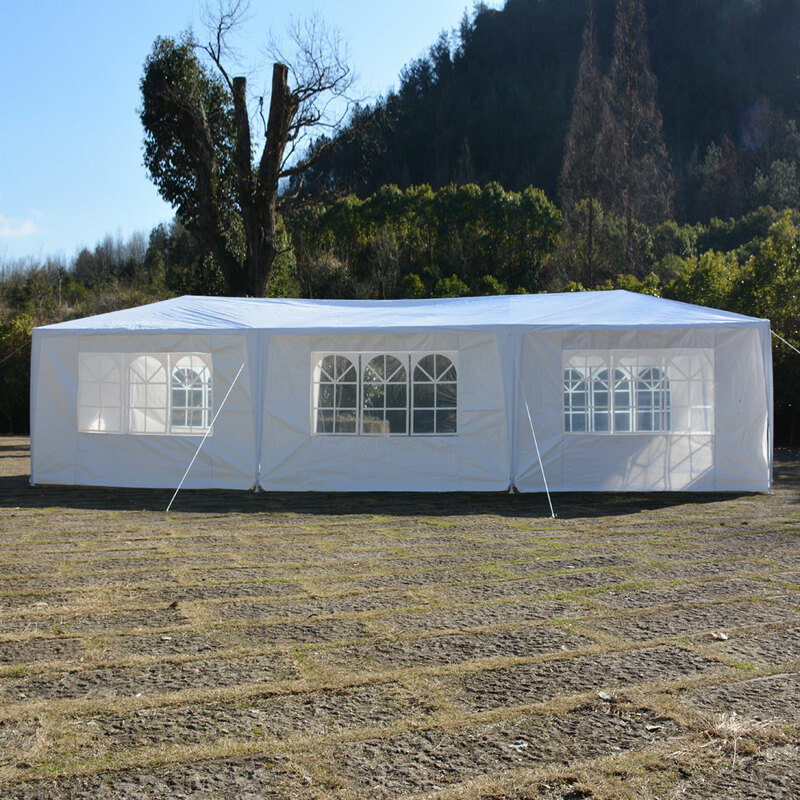 Divided into 2 bedrooms with 2 doors respectively, this tent provides spacious room for accommodating many people. 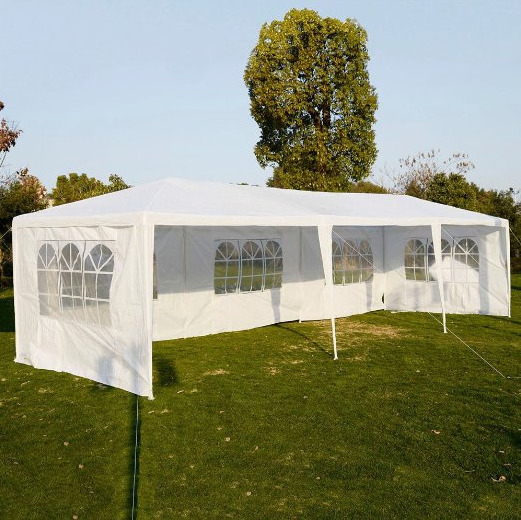 Its high-grade polyethylene and steel materials together with delicate workmanship ensure good structure and ruggedness. It is very easy to assemble. 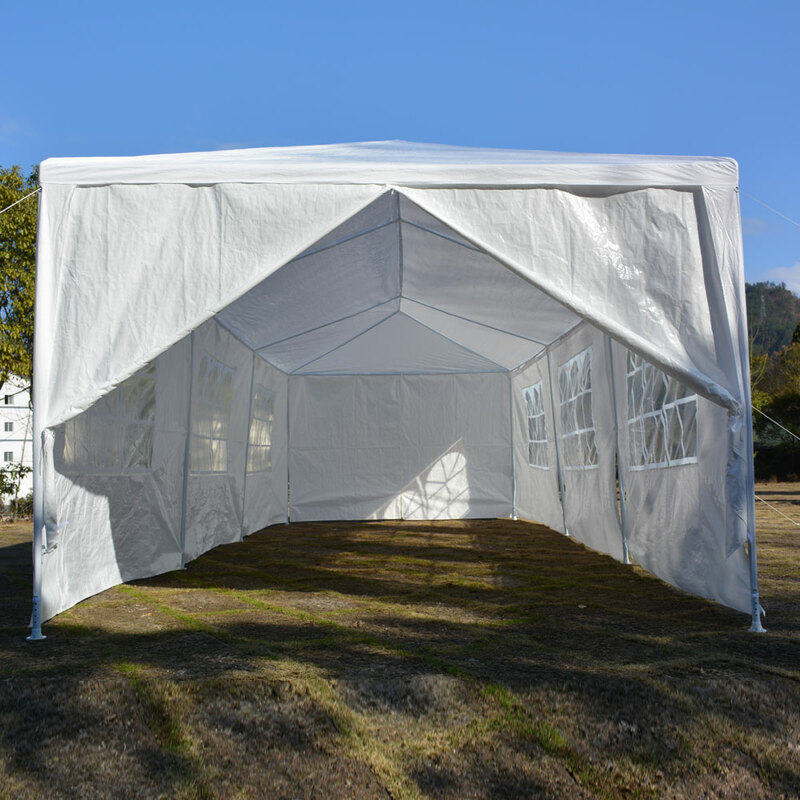 Great Temporary Shelter For a Backyard Party. Used two of these for daughter's graduation party. Husband was able to basically assemble on his own. I love the space it creates. 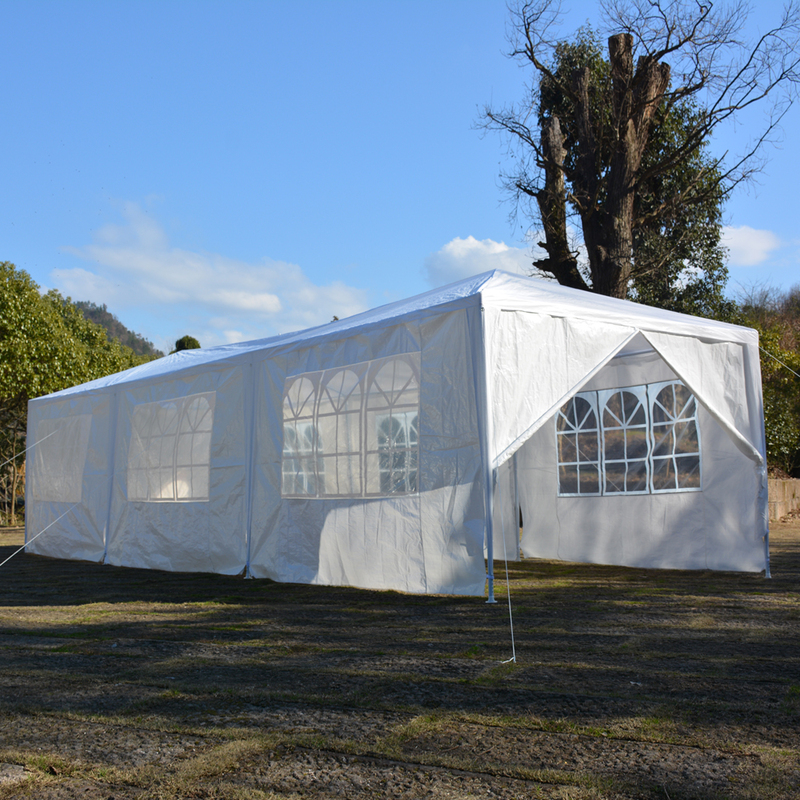 Quick delivery!I couldn't have been more satisfied with this big tent.We put some colorful lights inside so it looks very attractive in the evening. 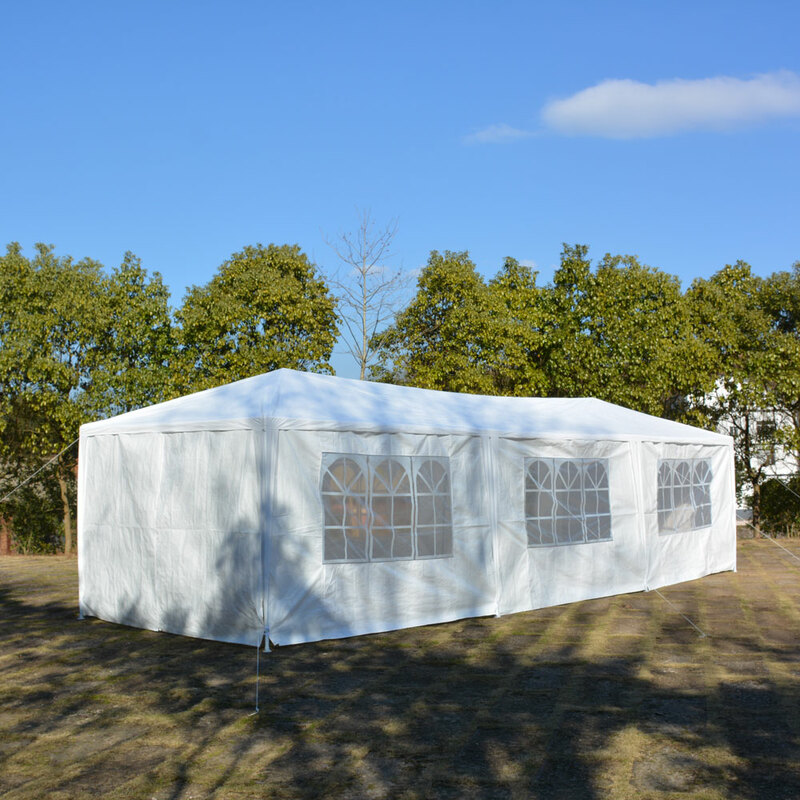 We purchased 2 tents to use for an anniversary party and they were wonderful. We didn't have to use additional tape or weights to hold the tent down, but I don't think it would hurt to add the additional support. The tents withstood light winds and provided a really nice look...lots of compliments were given. 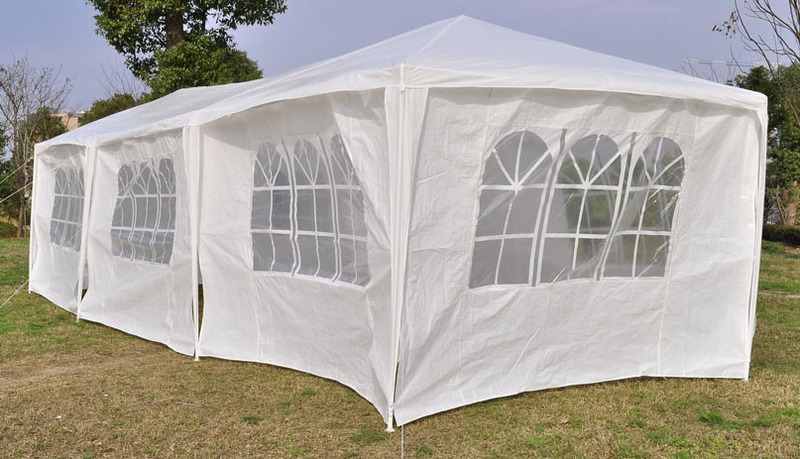 Very simple to put up this tent with two/three people and take it down.It's great for non-windy day and it looks amazing when fully assembled.We will use it often especially with the holiday to come. Perfect. Everyone remarked on how beautiful. The set up is a little tricky, might require two people but it's perfect for what we used it for. We are very satisfied with the tent. So far no rips or tears and NO LEAKS. Perfect for shade, working in the rain and wind. Protects projects. This has two large compartments (car size). We have two motorcycles, with bike covers, stored on one end with room for a few projects. 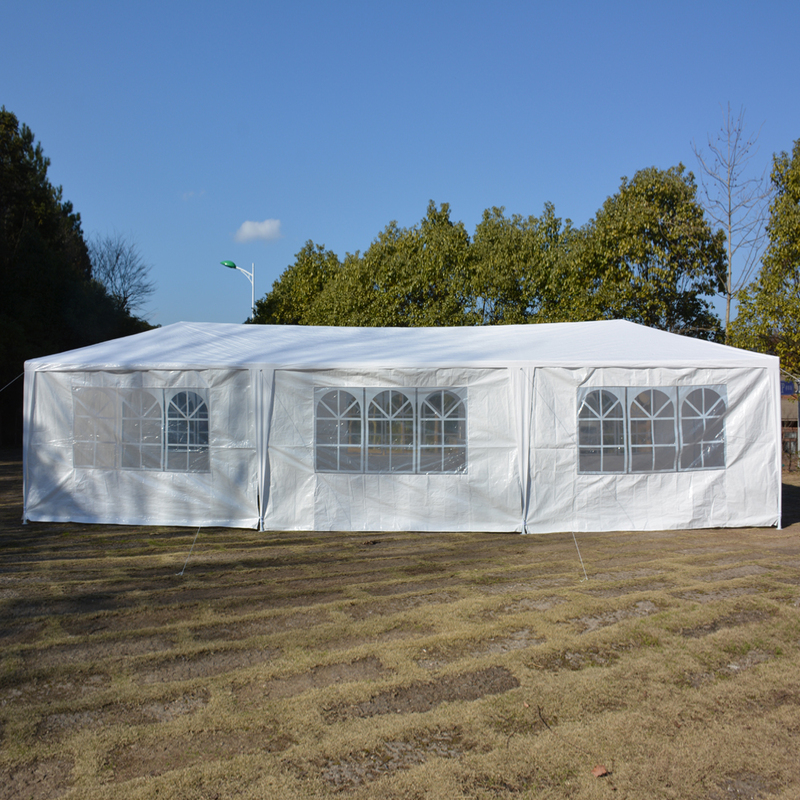 The tent is very strong and we have a lot of wind on the beach, but this does not affect the use of the tent.